One of the simple measures of the strength of a country’s economy is the number of tower cranes and new multi-story buildings under construction. Istanbul is booming and spreading on both sides of the Bosphorus. A new rail tunnel link has just been opened under the waterway, and a third bridge will be built to the north, close to the Black Sea. Held late last year, Comvex is a trade fair for the whole commercial vehicle industry, held every two years in an exhibition centre that lies a long way from the middle of the city. That journey was an opportunity to observe many of the new low floor city buses, both solo and articulated, that have entered service with IETT, the city operator, and with the Istanbul metropolitan municipality, an organisation that owns some vehicles but also contracts out many routes on a similar basis to Transport for London. In the first ten months of 2013, 2,594 large city buses were put into service, not just in Istanbul, but in many other cities. Municipal elections are coming in April this year and shiny new buses are seen as a vote-winner. Against that background, Comvex was rather disappointing. Perhaps we have become used to exhibitions dedicated to the bus and coach industry, without having to wade through stands with vans, trucks and trailers. 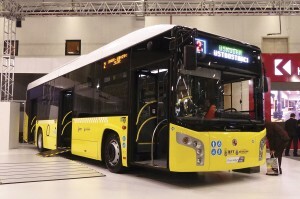 The busiest bus hall was one where Isuzu, Karsan and Otokar all had extensive stands, but most of the vehicles had been seen previously at Busworld Kortrijk. Karsan’s display included two BredaMenarinibus products, one solo and the other articulated. The latter was one of 40 destined for the city of Konya. 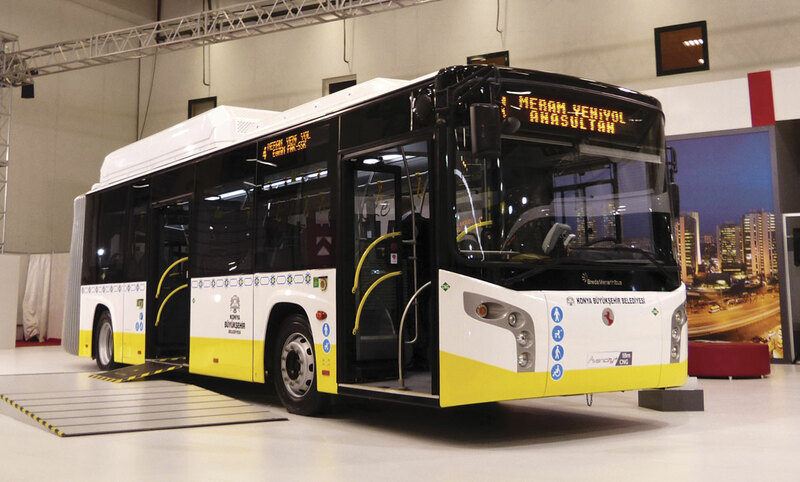 Evidently, Karsan is still in talks with Finnmeccanica, the Italian state company that owns BredaMenarinibus, but there has been no firm conclusion. The Italian factory simply cannot compete with Turkish labour rates. At the beginning of 2013, Karsan signed an agreement to deliver solo and articulated buses to IETT, that, with options, finally came to 540 vehicles. The contract included five year full service maintenance and construction of the second largest CNG refuelling station in Europe. Karsan is a highly flexible company that builds a wide range of vans, medium and heavy trucks under contract. It has a multi-skilled workforce that can tackle large one-off contracts. Both Karsan and Otokar offer 5.5-6 metre minibuses with front mounted engines and much of the floor only one step above the ground. They are used principally on feeder services in the cities, and are replacing older and less accessible minibuses. 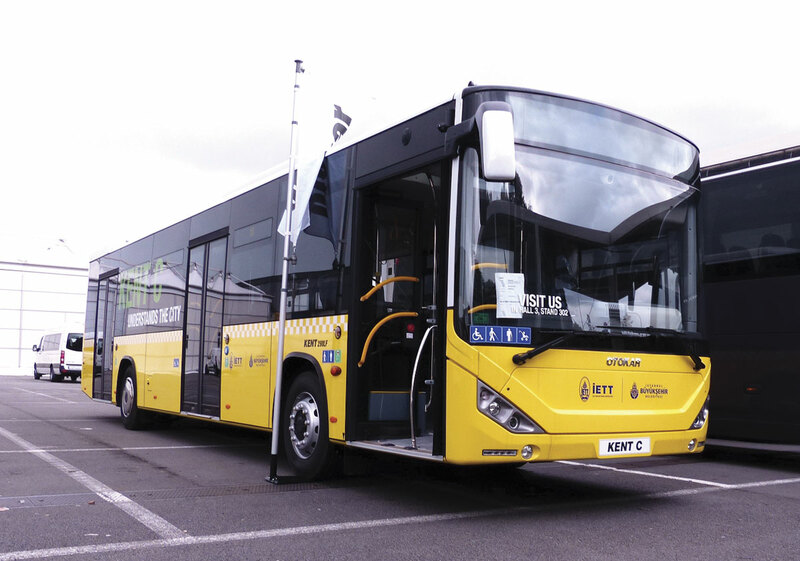 Otokar has recently delivered the last of 750 Kent low floor city buses to IETT, again with a five year contract maintenance package. They have Deutz Euro5 engines and Voith fully automatic gearboxes. Turkey will introduce Euro6 emission standards in January 2016. Mercedes-Benz is the leading coach brand in the Turkish market. It supplied 772 of the 1,188 coaches registered in the first ten months of 2013. The line-up in Comvex consisted of a Conecto city bus, a Tourismo, a Travego, and a new Setra 500 ComfortClass. A subsidiary of the Varan coach fleet has recently ceased representing Setra and that brand will now be handled by Mercedes-Benz Türk. 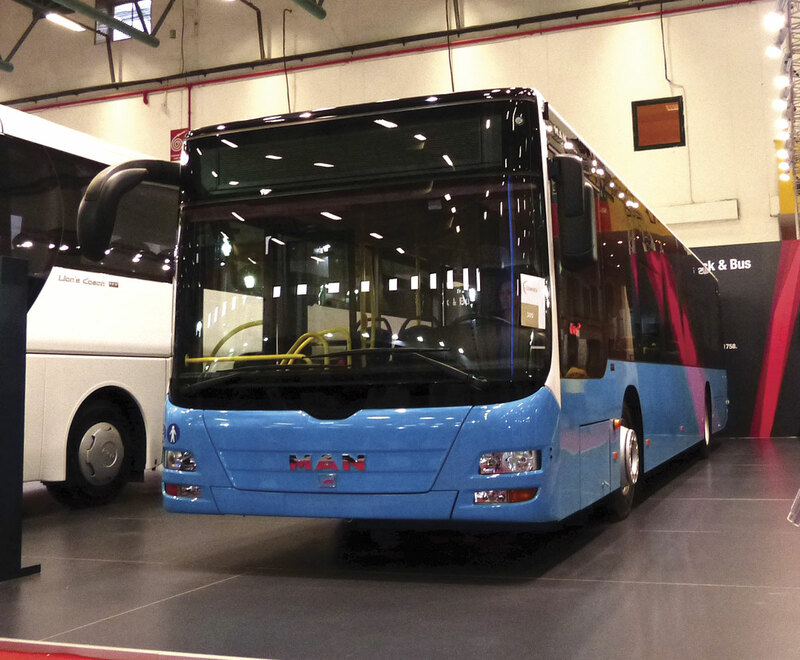 Although Neoplan coaches are popular on express services, the MAN stand showed only a Lion’s City bus for Istanbul and a Lion’s Coach. 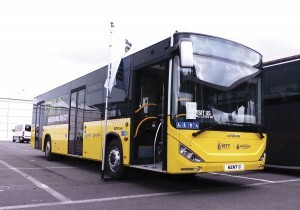 Temsa had a stand with a range of Mitsubishi trucks and vans, but no sign of any bus or coach. That was odd, given the fact that the latest Safari seems to be selling well with express coach fleets. Although BMC was not present, the Savings Deposit Insurance Fund, attached to the Prime Minster’s Office, has taken over BMC from its parent company as part of an action to recover a major debt. When BMC collapsed, it was part way through an order to build military vehicles. That has now restarted, but there was no news of other activities. Presumably, the Fund will try to find new investors to take over BMC. 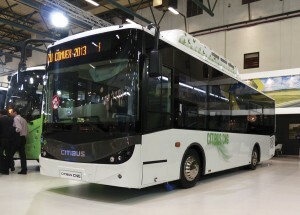 The next edition of Busworld Turkey will be held in Istanbul from 24 to 27 April. It will be in an exhibition centre which is close to the main Ataturk International Airport. In addition to vehicle manufacturers, and in complete contrast to Comvex, many of the suppliers to the industry will be participating. It promises to be an event that will be wholly focused on the bus and coach industry.